EFT stands for Emotional Freedom Technique. 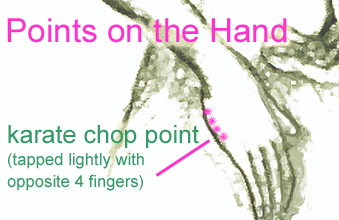 It uses the acupuncture points that follow the meridians in the body. The points that are used in EFT are those on the head, top of body and hands. 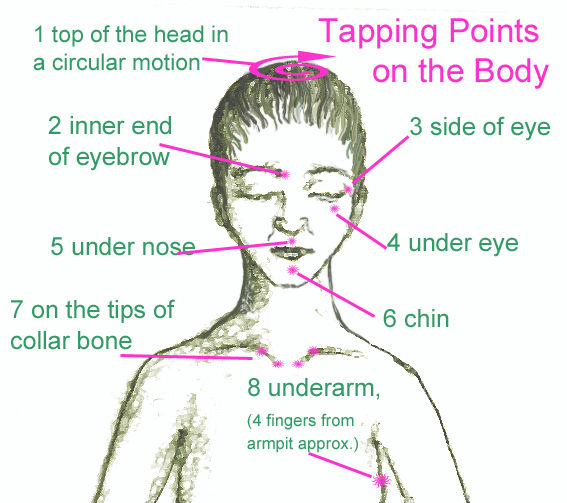 Tapping is used to stimulate these meridians. The theory behind EFT is that when something upsets us, our energy system goes haywire and we either manifest an emotional and/or physical problem from this first upset. 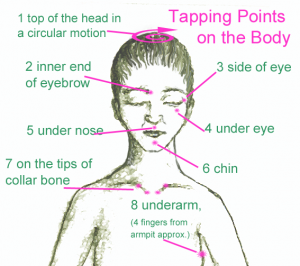 By tapping on the meridian points, and at the same time either concentrating on the problem or whilst experiencing the negative/harmful emotion, the act of tapping can smooth out the blip in the energy system and as a result can actually alleviate the emotional and/or physical problem. Persistence is needed to find all the aspects of any problem and, therefore, a practitioner can be useful to help find all the aspects since sometimes we are too subjective and an objective view can be very useful. EFT can be learned easily and applied at home between sessions. It is a wonderful self help therapy. 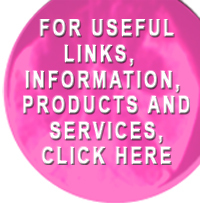 You can use it for all kinds of past traumas, bad experiences and memories. It can be used for lack of confidence and self esteem. It is also very effective for overcoming food and drink cravings. All negative feelings and thoughts can benefit from using EFT. EFT can be an excellent tool to re-affirm progress made in hypnotherapy or hypnoanalysis. However these skills can also be used without the use of hypnotherapy. 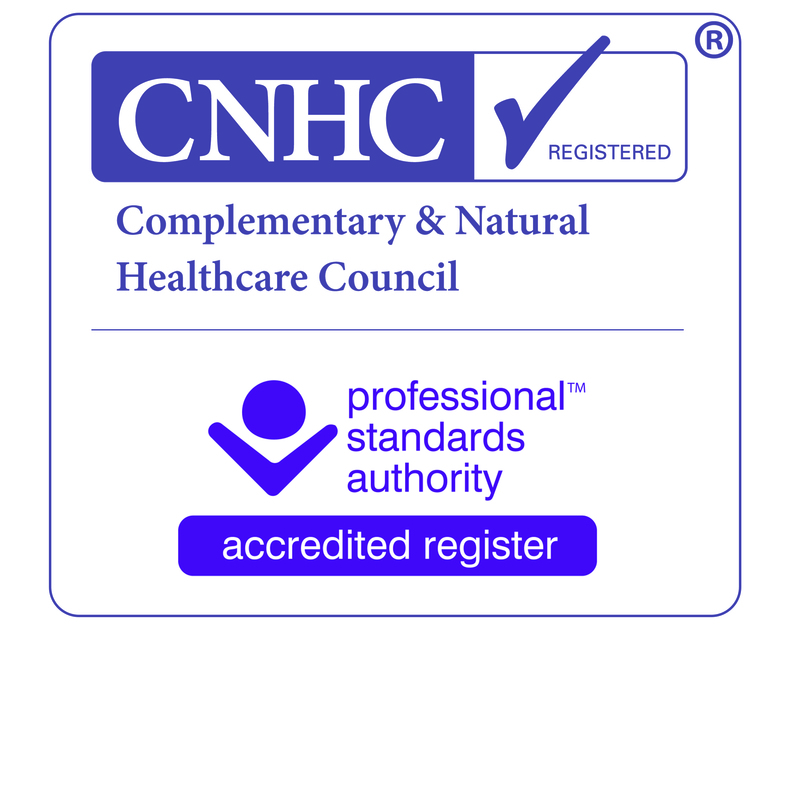 Sessions can be done one to one in the Hypnotherapy Islington therapy room or on Skype.